Description: It works in two ways. 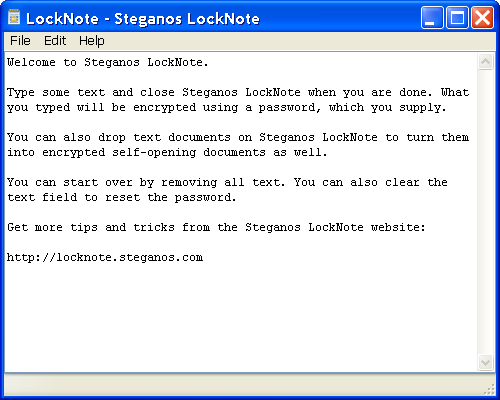 It is a notepad that encrypts everything you put inside so that it cannot be viewed without the proper password. It also creates copies of itself when you drag-drop a text file into it so that you end up with a new EXE that displays the content of that text file when it is run and the correct password entered.